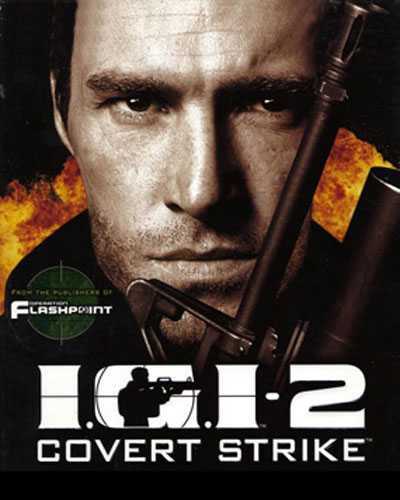 IGI 2 Covert Strike is an Action, Adventure and Stealth game for PC published by Codemasters in 2003. Play as a soldier named David Jones. David works is one of SAS forces who has to complete important missions. Your main duty is to find stolen EMP chips which are in an unknown place. Russian Mafia has stole them from US military service. There are nineteen missions in total at IGI 2 Covert Strike that should be finished to get the lost chips. You will be given a modern weapon at first. As you’re a beginner player, You need to complete training part. When you passed the training part as well, You will be sent to the first mission. These missions will be in three continents with different environments. There will be different circumstances in each continent too. If you want to finish the missions easily, It’s better to stay in group. But there are some levels that should be finished alone. It’s necessary to improve your shooting skills to be successful at IGI 2 Covert Strike. When you shoot at the enemies rightly, You get the total scores. Now, If you shoot at their head, Only one bullet is needed for them to be killed. Headshots are the best shots at this game which can have lots of scores. So, Try to shoot at the enemies’ heads. Although IGI 2 Covert Strike is a classic game released thirteen years ago, It’s still enjoyable for the fans of First person shooter games. You can also play this game in offline mode or online mode with the others players. 25 Comments ON " IGI 2 Covert Strike Free Download "
this screenshot is not the igi2! Once you get is up-and-running, let me know if it’s anygood. It looks interesting, but I’ve never heard of it before…. The given password doesn’t works.